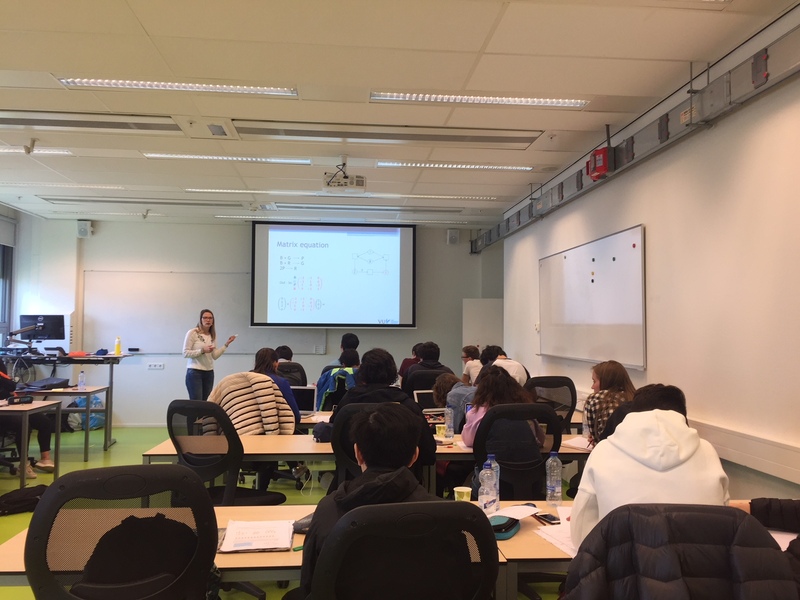 On 18 and 23 April 2018 a masterclass event on networks and their applications was organized by the NETWORKS program at Leiden University and the University of Amsterdam. This two day event was intended for secondary education students and teachers. All the material has been gathered in a self-contained booklet which can be used by teachers in the classroom or by students who want to have a glimpse into networks science! Since this was the first masterclass held in English, it was accessible to international schools as well. 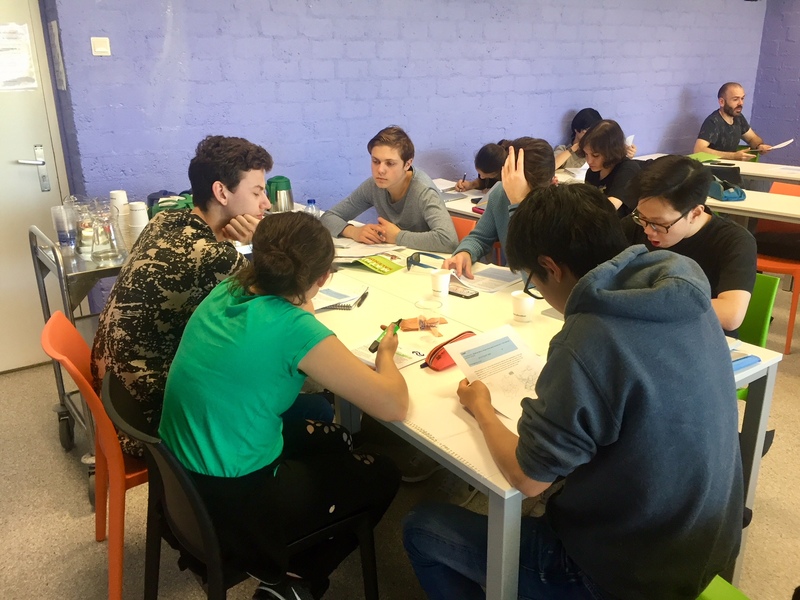 About 25 students from international schools from Amsterdam, Hilversum, Oegstgeest, Rotterdam and The Hague participated in the event. The aim of the event was to introduce secondary school students with an interest in mathematics to mathematics education at a university and to provide them further deepening in their mathematical knowledge. Another goal was to give English PhD candidates the opportunity to disseminate their scientific research. The program consisted of lectures, discussions, games, reading sessions and interactive group activities. On April 18 the event started at Leiden University. Clara Stegehuis (Phd at TU/e) talked about Social Networks and Janusz Meylahn (Phd at UL) gave a lecture about Neural Networks. On April 23 the second part of the masterclass 'NETWORKS goes to school' took place in Amsterdam. 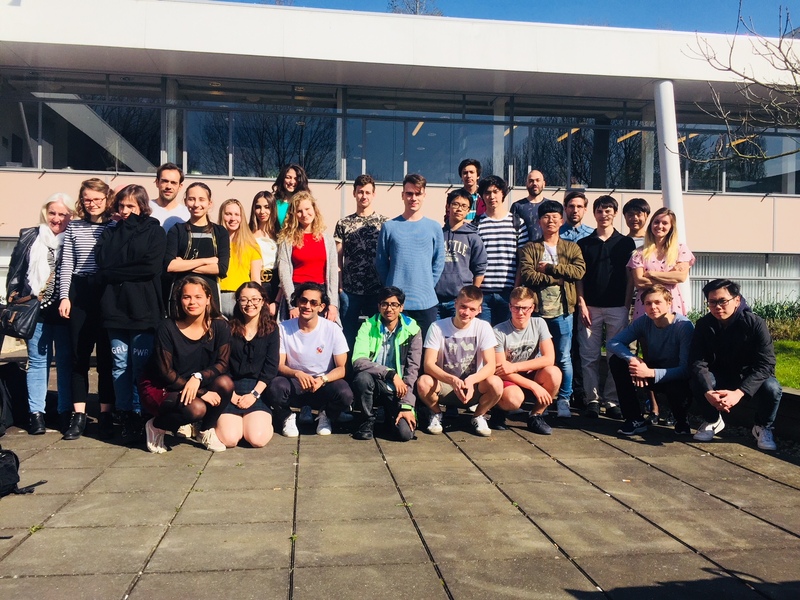 The day started with a guided tour in the Science Park main building followed by a series of lectures by Birgit Sollie (Phd at the VU) about Networks in Biology and by Jan-Pieter Dorsman (Assistant Professor at the UvA) about Markov Chains. "It was fantastic for me to follow the work presented and share this excitement with my students. I consider the choice of the mathematical topics as well as their applications, very successful as they relate to real life and the experiences of these young students." - high-school teacher. The masterclass will be organized by NETWORKS on a yearly basis, the announcement concerning an upcoming masterclass can be found on the NETWORKS website.